In 1941, a scant three years after the introduction of Superman in 1938, animation producers Max and Dave Fleischer were approached by Paramount Studios to create a series of cartoons based on the new superhero. The results were breathtaking. Although the Fleischers were hesitant to take the project, they treated the topic seriously and used state-of-art techniques and technology to bring this quintessential American character to life. 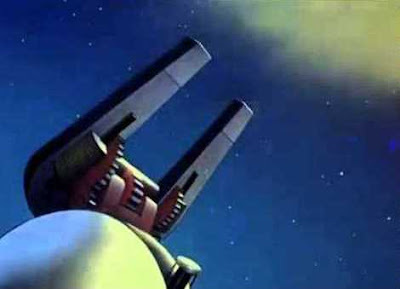 A total of 17 episodes were eventually produced (see below). One innovation the Fleischers introduced is Superman’s ability to fly. 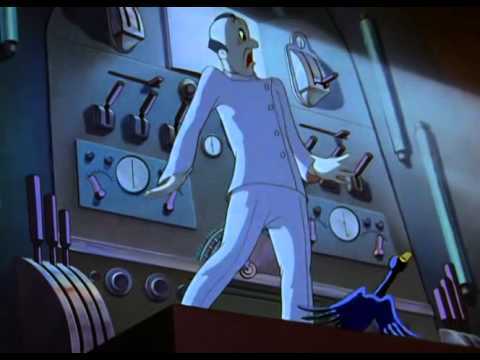 Prior to the cartoons, Superman traveled by leaping, as in “Able to leap tall buildings in a single bound!” After initial animation tests, however, the scenes of Superman leaping lacked the fluid motion the Fleischers sought. More frankly, they thought it looked “silly.” After consultation with DC Comics, Superman began to fly both on the screen and in the comics. Max Fleischer invented rotoscoping, the process in which animation is applied over live-action film footage to create more natural movement. 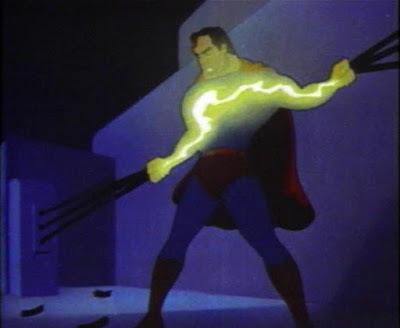 For the Superman cartoons, the Fleischers employed this technique and over 600 artists and technical personnel to bring the comic book superhero to life. No attention to detail was spared. The black shield on Superman's chest draws the eye to the character. Art Deco accents and the use of shadows to emulate film noir lighting give a cinematic feel to the shorts. Brilliant special effects create electricity, lightning, and fire to heighten the sense of danger. 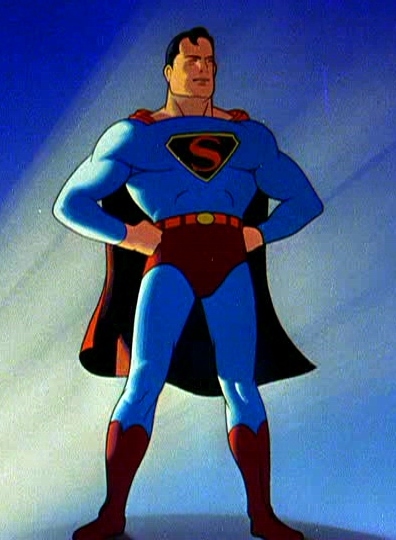 The overall production design influenced the look of the critically acclaimed 1990s Superman: The Animated Series. 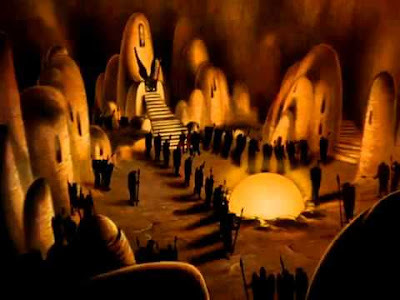 Following the first nine shorts, a falling out between the brothers led to the creation of Famous Studios with many of the same animators. 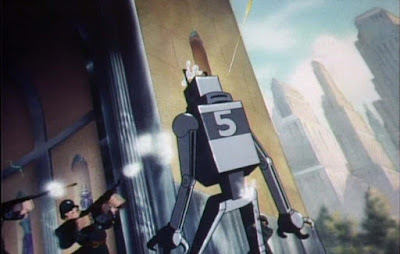 The Fleischer Studio shorts, completed by the end of 1941, had mad scientists, robots, dinosaurs, earthquakes, meteors, and volcanos – the stock and trade of the classic Man of Steel. Famous Studios, however, in the wake of Pearl Harbor and the U.S. involvement in World War II, introduced plots with Japanese saboteurs and Nazi spies. Here we begin to see the shift of Superman from a brightly costumed super-powered pulp hero to an All-American icon. Nevertheless, one cannot mistake a hint of racism in the title of the episode “Japoteurs.” On many levels, these animated shorts typify the era. What I love about these cartoons is not just the animation, which retains its beauty nearly eight decades later, but also how they show America in the twilight of the Machine Age, that period of time between the 1880s and 1945. We built big, from the Empire State Building to the Hoover Dam, and had cautionary tragedies from the Titanic to the Hindenburg that tested our moral and technological limits. In many respects, these cartoons embody the zeitgeist of the times and give us a unique look at America at a critical time in its history. Click on the links below to see all 17 episodes on the Aeolus 13 Umbra YouTube channel! Episode descriptions by G. Jack Urso. From the Aeolus 13 Umbra YouTube Channel. In the this first episode, we learn of Superman’s origin and watch him fight a Mad Scientist’s death ray to save Metropolis and Lois Lane — just in the nick of time, of course! Giant remote-control robots are stealing fortunes in cash and jewels, and Lois is on the story — with Superman not far behind. A billion dollars in gold on a train attracts robbers and Superman! A giant dinosaur found frozen in Siberia is shipped to the Metropolis Museum of Natural Science. When it thaws and wrecks devastation on the city, it’s up to Superman to save the day. A gang of sophisticated thieves use advanced technology to commit crimes. Lois is captured when she tries to stop them, so it’s up to Superman to stop the Bulleteers and bring them to justice. A mad scientist uses magnetic power to draw a comet on a collision course with Metropolis. With Lois’ help, Superman saves the city from certain destruction. 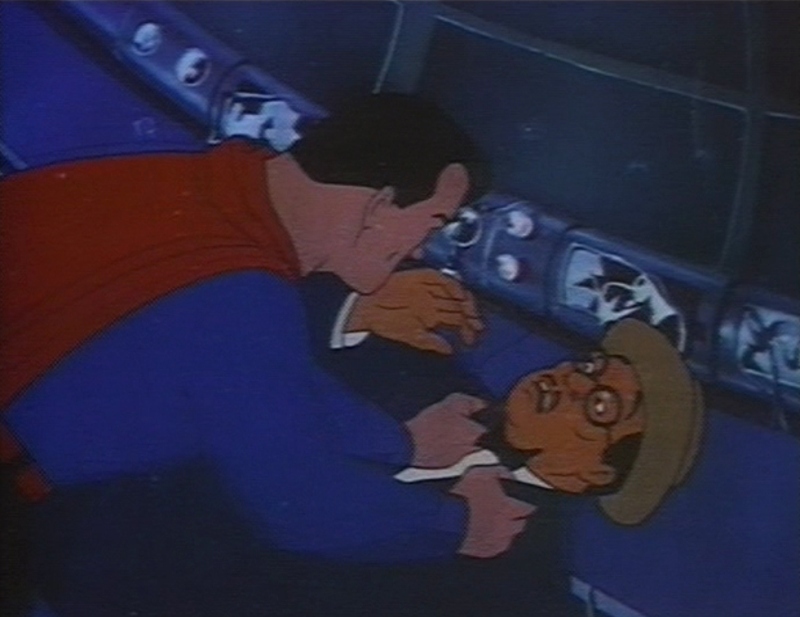 A Native American scientist, intent on reclaiming the island of Manhattan, uses an electric earthquake machine to get what he wants, but what he gets is Superman! When a dormant volcano awakens after 300 years and threatens a small town, Superman must use every ounce of strength to save the townspeople, and Lois, of course! A giant gorilla breaks loose at circus, causing a massive fire. Superman must subdue the beast, protect the circus-goers, save the animals, and Lois yet again! Japanese spies hijack a new U.S. bomber and Lois needs saving — AGAIN. The racist stereotypical portrayal of the Japanese ethnotype (bucktooth and nearsighted) has not aged well. A criminal disguises himself as Superman and Lois does NOT need saving! When Clark Kent and Lois Lane become Japanese prisoners of war, it becomes Superman’s turn to be a saboteur! But can he complete his mission and save Lois from execution? Note: This episode must have been running short because it recycles Superman’s origin featured in the first episode Superman (a.k.a. The Mad Scientist). More sabotage. Lois takes a wartime job in a munitions plant to uncover the plans of a fifth column intent on destroying the factory, but gets captured. Can Superman save Lois and stop the factory from being destroyed? In a rare foray into the supernatural, Clark and Lois investigate the death of a noted doctor of Egyptology at the Metropolis Museum and encounter the undead guards of an ancient king! Nazis set up an outpost in the African jungle to coordinate attacks on allied convoys. When the native tribesmen at their command capture Lois, its Superman to the rescue! A scientist, intent on exploring caves discovered by his late father, takes Lois and Clark deep underground where they discover a race of “Hawk Men.” Of course, where else would a race of flying creatures evolve but in caves? The Hawk Men capture Lois and the scientist, so it’s up to Superman to save the day, or is it night? Hard to tell when you’re underground. The secret agent in this episode is an intrepid female who infiltrated a Nazi fifth column and plans to turn their names over to the government. The Nazis plan to stop her, but Superman is on the case!